We specialize in the embroidery of corporate logos, designs, and artwork on professional and casual clothing. We offer clothing in a variety of styles and sizes. 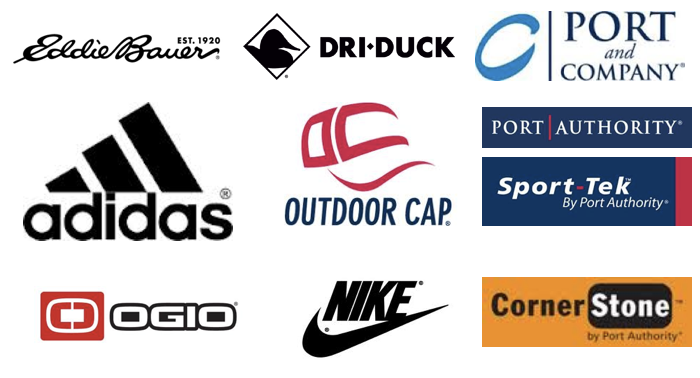 Casual, professional, sportsman...we offer the highest quality name brands in apparel. We offer screen printing services for various types of apparel and needs. Need help with that corporate logo? We have thousands of stock images and offer custom design and digitization of your corporate logo for embroidery. Serving Cleveland, TN and the surrounding areas including Athens, Chattanooga, Dayton, and North Georgia for over 20 years, we specialize in the embroidery of corporate logos, designs, and artwork on professional and casual clothing. We also offer custom screen printing services.